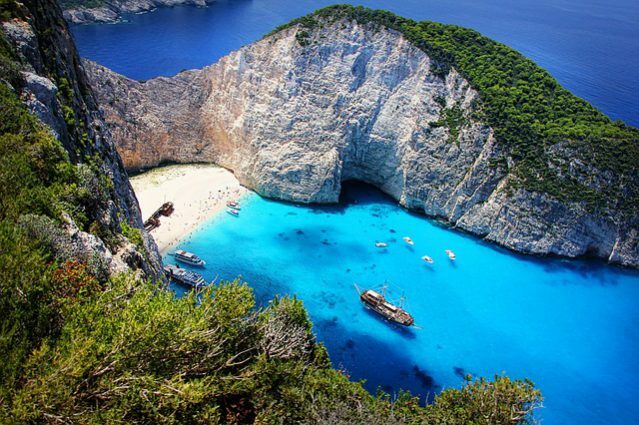 Zakynthos is one of those holiday destinations that will make you wanna come back. With so many exciting things to do on land and in water, this fantastic island is paradise for holidaymakers of every age. You will fall in love with its skyscraping limestone cliffs, white sand beaches, and clear waters which offer great conditions for different adrenaline-pumping watersports including diving. 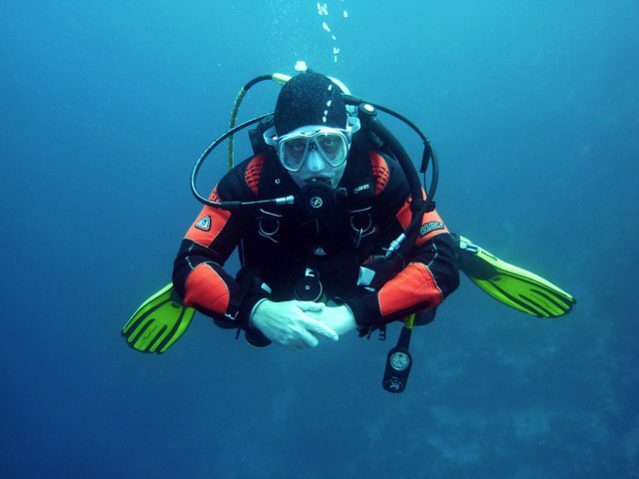 Diving in Zakynthos is a fantastic experience. Thanks to its visibility that reaches up to 50m, you will enjoy the beauties of the underwater world. Interesting rock formations, amazing caves, and different flora and fauna…they will take your breath away. If you go diving in Zakynthos, you shouldn’t miss exploring the Keri Caves also known as the Blue Caves. They are heaven for advanced divers, and you can only access them by boat. There are actually two different spots, however, the big Blue Cave is the most spectacular. It reaches a maximum of 30m and is a home of a great variety of species including monk seals. You can spot them sleeping or eating shrimps. When you enter the cavern, it is dark, so having a torch is a must. If you have the required experience, you can proceed forward and come across another big cavern. On the way out, let the sunlight lead you on the surface. Then, you will realise why they are called Blue Caves. 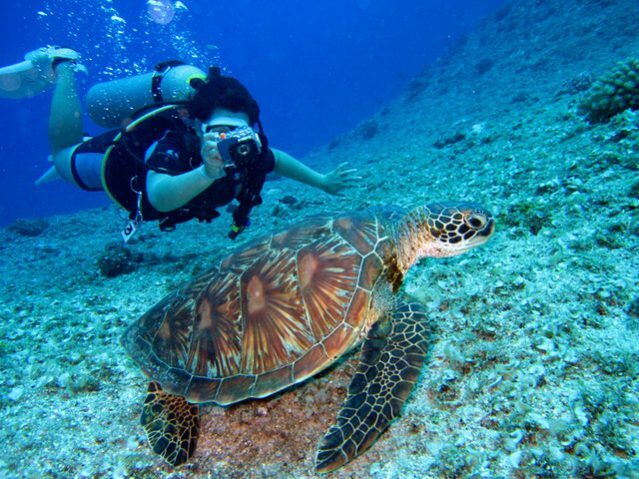 Marathia or “Turtle Island” is another must-visit spot for diving in Zakynthos. People of all educational levels can dive here since it is from 6-17m deep. Here you can see 6 beautiful caverns and interesting rock formations. They are home to monk seals, octopus, spiny and Spanish lobsters, and big groupers. Marathia has a rich marine life, so here you can also find flying fish, cuttlefish, parrotfish, and moray eels. Spotting the giant Loggerhead turtles is also possible. Stunning limestone reef is awaiting you in the waters of Marathia as well. It is covered with corals and sponges. Take your camera, because there is a lot to see. Oktopus diving site is ideal for experienced divers and beginners. Its depth ranges from 6-50m. You will enjoy wandering around the dramatic rock formations, a lovely cave with a big entrance, and beautiful marine life. If you visit this diving spot until the middle of July, you can see many lobsters at 30m or maybe deeper. 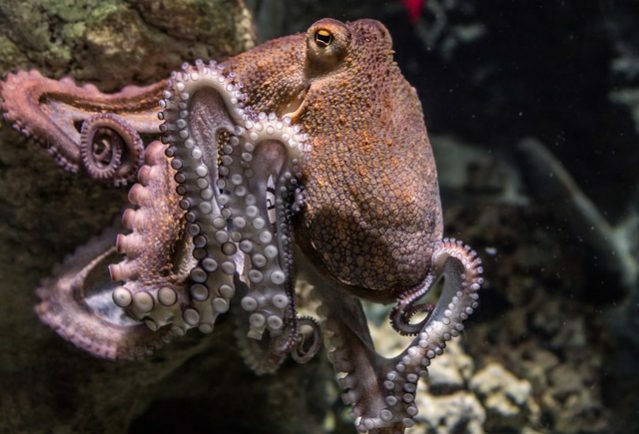 Moreover, if you are lucky enough, you can also spot octopus and get home with unforgettable memories. Barracuda is also one of the spots not to be missed when diving in Zakynthos. It is from 5-45m deep. Thanks to the slight currents, many different kinds of fishes can be found here. When the currents are a bit stronger, at the deeper parts, you can spot Barracudas. Under the surface, there are many canyons, holes, and cracks which you will love exploring. You will have the chance to spot nudibranchs also known as labelling and big groupers as well. Last on our list of must-visit spots for diving in Zakynthos is Elephant. It is the deepest diving site on the island and ranges from 8-75m. Here, you will find an elephant-shaped rock that breaks the surface. Following the wall, you will spot fish in group formations, cowshells, Spanish lobsters, and peacock worms. You will enjoy diving through the amazing tunnels which can be found at 12-22m. Diving in Zakynthos is an amazing experience. Its crystal blue waters, stunning caves and rock formations, the variety of marine life, will make you wanna come back again and again. There are many fantastic diving spots on the island and Keri Caves, Marathia, Oktopus, Barracuda, and Elephant are not to be missed. 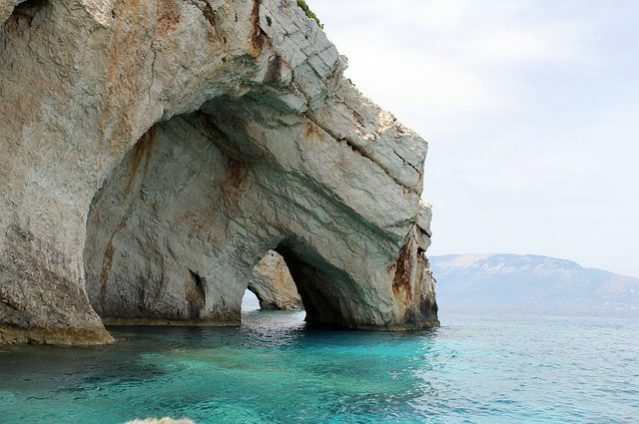 Zakynthos offers great visibility so you will enjoy exploring its underwater beauties. The best time to dive here is from May to September. Then, the water temperatures are the most pleasant and reach up to 27°C. Don’t wait for the perfect moment to come, now is always the best answer. Check out our amazing villas in Zakynthos and book your next summer holiday.